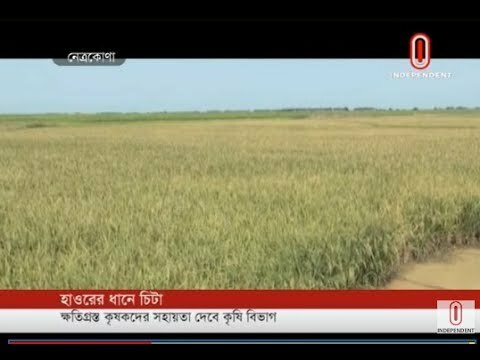 Vast areas of arable land in Akhaura area of Brahmanbaria district are under threat due to dumping of untreated poisonous waste from India’s Agartala. Expressing deep concern, Bangladesh has raised the issue before the Joint Rivers Commission (JRC) and drawn the attention of the Indian authorities. The untreated industrial, household and medical waste is being dumped into the Akhaura canal that enters Bangladesh through the Agartala-Akhaura border. The stinky waste spreads in the Akahura area and finally reaches the Titas River through the Kalondi, Kalikapur and Sonarbadi canals. The Department of Environment (DoE) has conducted a test of the canal water and found the presence of heavy metals like lead, chromium and iron. During a recent visit, this correspondent found stinky jet black water, along with plastic bottles and polythene, entering Bangladesh through the Akhaura border. 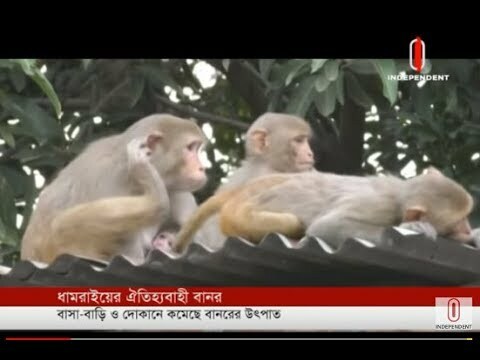 Some Border Guard Bangladesh (BGB) personnel, on condition of anonymity, told this correspondent that the canal water stinks. “Sometimes it becomes unbearable for us to perform our duty. At times, the canal overflows. We have informed the higher authorities, but no remedy as yet,” one of them said. Many farmers have to use the canal water for irrigation purposes to minimise their production cost, he said in reply to a query. “We have tested the canal water at various points. The presence of dissolved oxygen (DO) is very low. The DO level is only 0.24-0.36 mg/L, against the standard 5mg/L in canal water. Besides, the presence of heavy metals, like lead, chromium and iron was found,” Mosabber Hossain Muhammad Rajib, assistant director of the DoE in Brahmanbaria district told The Independent last week. The issue was discussed during a technical level JRC meeting between the two countries. Bangladesh's concern was conveyed to India, JRC member Md Mofazzal Hossain told this correspondent. “The Indian authorities have assured us several times that it would construct an effluent treatment plant (ETP) to treat the waste before releasing it in the water. We are yet to confirm whether this has been done,” the JRC member said in reply to a query. Trans-boundary water pollution is taking place in downstream rivers in Bangladesh, as most of them originate in the upstream, Abdus Sobhan, former additional director general of the DoE, told this correspondent. Considering the serious consequences of the discharged poisonous water, the government should take up the issue with India and urge it to manage the canal water properly before discharging it into Bangladesh through the canal, he added. Moharana Choudhury of the Department of Environmental Science, Tezpur University, and McDonald Choudhury of Hindustan Paper Corporation Limited in India have jointly written an article on "Trends of Urban Solid Waste Management in Agartala City". It was published in the Universal Journal of Environmental Research and Technology in 2014 (Volume 4, Issue 4). Environmental-friendly disposal of municipal waste is not often practised in developing nations like India. With the rapid growth of population, along with the expansion of residential areas and infrastructure development, the inhabiting environment is getting affected. Poor management and lack of scientific approach in the dumping process are the major hindrances on the way of the MSW process. However, unsuitable placement of dumping yards in inappropriate areas is another obstacle found in the case of Agartala city, as it is growing very fast. As per the 2011 census, population of the city was 3,99,688, with a density of 6,251/Sq km. Around 260 MT (metric tonnes) of urban solid waste is generated every day from more than 90,000 households, including household (10%) commercial, including industrial (12%) construction debris, including thrown sweeping (50%), electronic waste (2%), respectively “As Agartala city does not have an underground sewage collection and sewage treatment system, the untreated sewage directly mixes into several drainage channels of the city and finally goes to the “Haora River”, “Khatakhal River” and the “Akhaura” channel. This results in severe degradation of the water quality, which is also reported by monitoring the physic-chemical and bacteriological parameters of the river water upstream and downstream of the city of Agartala," Subhro Sarkar and Umesh Mishra said in their article (2014). 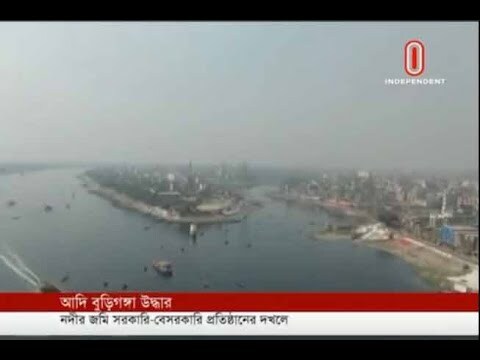 They also said that the Central Pollution Control Board (Report 2010) identified the river side, along with the city of Agartala, for the “Haora River” to be one of the polluted minor river basins in India and suggested that measures should be taken immediately. An open dumping ground is also creating problems from an environmental point of view. Contamination of ground water, as well as surface water, is taking place, as was reported from the “Hapania area”. (Debasree Purkayastha and Sumanta Chakrabarti. 2014). This area had been used as a solid waste dumping ground for the last 40 years. It is now used as a biomedical waste disposal site. The problem of waste management is becoming more complicated due to the improper and unscientific disposal of solid waste, mostly in open dumping site (Rajkumar, et al, 2010), which may result in contamination of ground water (Kamboj. N, & Choudhury. M, 2013). Open dumping sites generally attract birds, rodents and fleas, and accordingly, result in unhygienic condition of the surrounding area of the dumping site (Suchitra, 2007). The estimated amount of waste generation in Agartala city was approximately 200 tonnes per day. It has been noticed that the urban population of India has increased from 26% in 2001 to 32% in 2011 (Census of India, 2011)—this has resulted in the rapid increase of waste generation. Owing to the negligence of the municipalities towards the solid waste management process, it has become a serious environmental issue for collection, transportation and disposal. In India, the Solid Waste Management Rule 2013 presents an improved solid waste management process as per international standards.